WASHINGTON, D.C., USA — Now that the weather is consistently warmer, it's time to get your yard ready for barbecues and lazy Sunday lounging. Lowe's has everything you need from grill accessories to rain-proof pillows. Here's how you can score during their Spring Black Friday sale through April 17th. Beautify your garden. Depending on the size of your lawn, you'll need multiple bags of mulch. This can add up, so take advantage of the spring savings at Lowe's. Stock up on plant food, pest control products, and replace your gardening tools during this sale too. Get your lawn in order. If you have a large yard, you know how long it can take to rake up those leaves. Save yourself some time and get a leaf blower. If you have a smaller yard that you still need to maintain, an electric mower can be easily stored and gets the job done efficiently. Accessorize your grill. 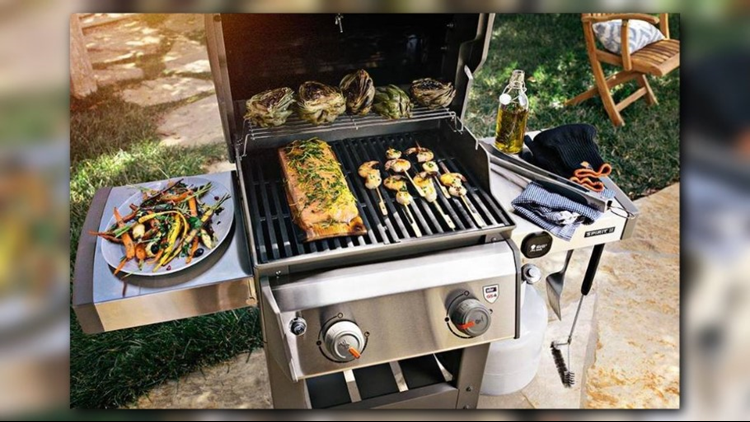 Lowe's has great deals on grills during their spring sale, but if you've recently purchased one, you may need maintenance tools. Grill pans, seasoning packets, non-stick spray are all great assets to make your backyard party the talk of the neighborhood. Prep your patio. Food tastes better outdoors. Enjoy those burgers you just flipped on the grill on a new outdoor dining set. Get a head start on your summer reading list by curling up with a book on a new outdoor sofa. Grab a Citronella candle so you can hang out there all day pest-free. For more home improvement tips, follow Great Day Washington on Facebook, Twitter, and Instagram.